it's that time of year again and the award shows are upon us. sequoia productions approached us again this year to provide kai amenities for the awards festivities and events, and were kind enough to give my team the opportunity to go not only to the emmys but the after party, as well! never one to pass on a fantastic evening we nominated kai's very own "it" girl, tyler, to go. i, on the other hand, watched the show with my mom and auntie at a very casual get together and was quite comfy. i must admit the reason i watch the emmys is for the fashion. my "to die for" was julianna margulies' dress by narciso rodriguez. knocked me out, she was absolutely breath taking!!! 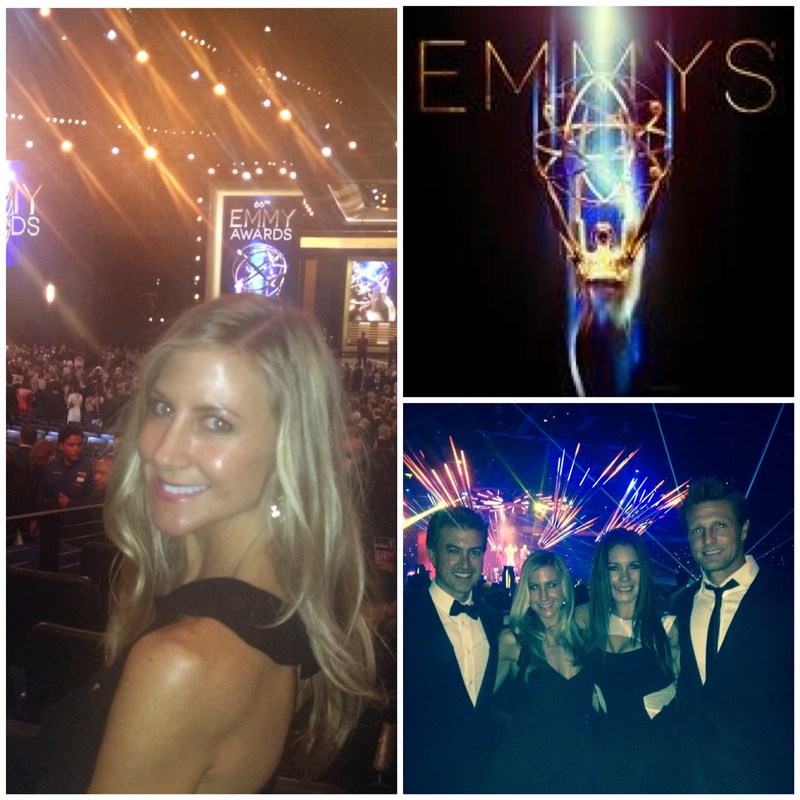 hope you enjoy tyler's take on her evening at the emmys. i was honored to attend the emmys again this year on kai's behalf. the team at sequoia productions is the loveliest group to work with and their creativity at producing the governor's ball absolutely amazes me. after the award's show -- glass of champagne in hand -- we entered the ball and our eyes were treated to this year's theme: a kaleidoscope of color. bright lasers, beautiful dancers, incredible flowers, specialty cocktails, and a rocking band elevated on a platform in the center of the ballroom... spectacular! confession: i wore the same dress as last year because i loved it (and let's face it, i won't be critiqued by joan rivers on fashion police) but i accessorized it up with new jewelry, dreamy shoes and my handsome date! growing up in southern california i have always felt like the energy in these "starry" nights is tangible in the LA air; perhaps because i love the magic of movies and television, but walking the red carpet in person surrounded by the energy of the evening is certainly an affair to remember.